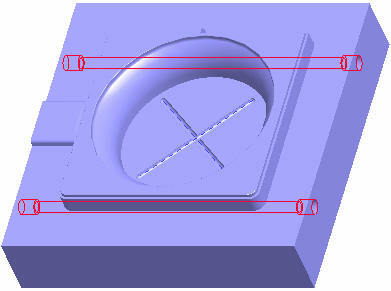 Waterline feature is used to create cooling channel in the mold components. Ejector Pin Catalogue is used to assemble the ejector pins in the manufacturing assembly. Specifying End Condition for the channel.